↑ "Provisional Population Totals, Census of India 2011; Urban Agglomerations/Cities having population 1 lakh and above" (PDF). Office of the Registrar General & Census Commissioner, India. สืบค้นเมื่อ 4 April 2012. ↑ "Provisional Population Totals Paper 1 : 2011" (PDF). Government of India. สืบค้นเมื่อ 12 July 2011. ↑ "Varanasi". Encyclopædia Britannica. สืบค้นเมื่อ 30 October 2012. 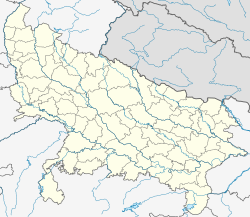 ↑ "District of Varanasi – Sarnath". National Informatics Centre-Varanasi. สืบค้นเมื่อ 1 May 2009. Bansal, Sunita Pant (2008). Hindu Pilgrimage. Teertha. Pustak Mahal. pp. 6–9, 34–35. ISBN 9788122309973. สืบค้นเมื่อ 2009-08-07. Bhargava, Gopal K.; Bhatt, Shankarlal C. (2005). Land and people of Indian states and union territories. 28. Uttar Pradesh. Gyan Publishing House. ISBN 978-81-7835-384-5. Bruyn, Pippa de; Bain, Keith; Allardice, David; Joshi, Shonar (2010). Frommer's India. John Wiley & Sons. ISBN 978-0-470-60264-5. City Development Plan for Varanasi (PDF). Jawaharlal Nehru National Urban Renewal Mission. 2006. Das, G. N. (1991). Couplets from Kabīr. Motilal Banarsidass Publ. ISBN 978-81-208-0935-2. Kramrisch, Stella (1946). The Hindu Temple. Motilal Banarsidass Publ. ISBN 978-81-208-0223-0. Sahai, Shashi Bhushan (2010). The Hindu Civilisation: A Miracle of History. Gyan Publishing House. ISBN 978-81-212-1041-6. Sharma, Virendra Nath (1995). Sawai Jai Singh And His Astronomy. Motilal Banarsidass Publ. ISBN 978-81-208-1256-7. Twain, Mark (1897). "L". Following the Equator: A journey around the world. Hartford, Connecticut, American Pub. Co. ISBN 0-404-01577-8. OCLC 577051. สืบค้นเมื่อ 2007-02-07.